If you need hand drawn leather, lemme know. I got plenty of practice with watch No. 4 in the JKAI Timepieces collection, the timeless Cartier Tank. Louis Cartier created the first Tank watch in 1917, inspired by the Renault tanks of WWI. 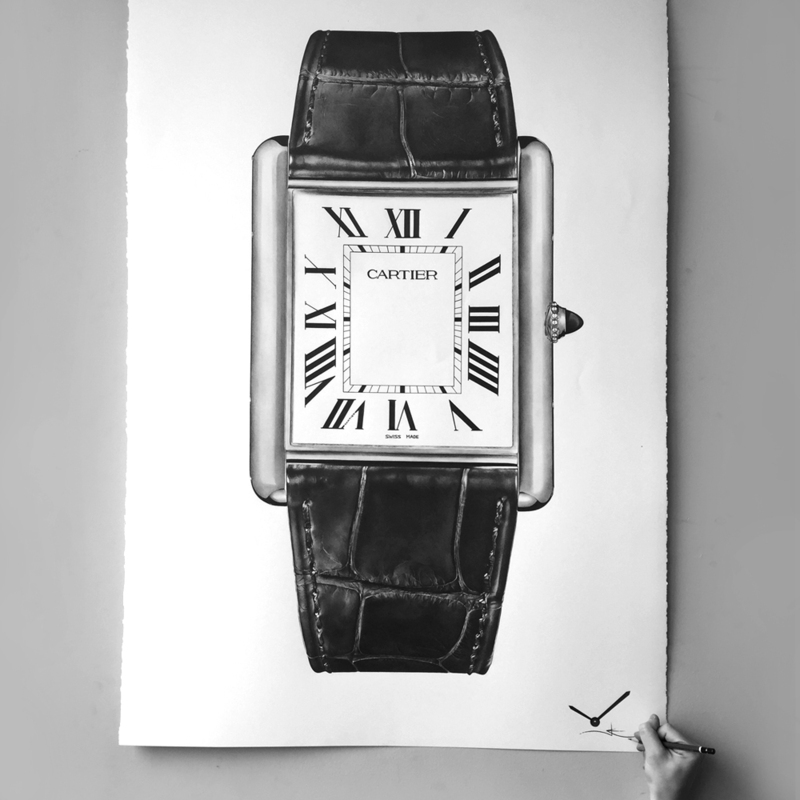 Worn by legends and style mavens for almost a century, the Cartier Tank is most deserving of its iconic status.